Govind Singh June 1st, 2015 Mobile Marketing 6 comments. It seems, Facebook, the largest social networking is on a spree to offer more to its users. Within a year, the company has added so many features to Facebook for its users. 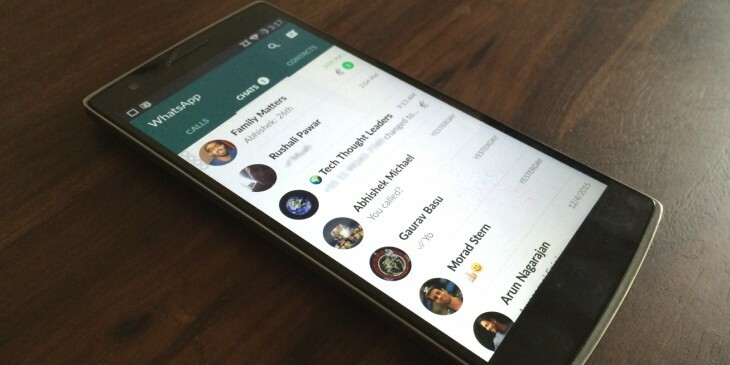 The latest buzz coming around is about WhatsApp integration into Facebook app for the android users. This is something, we have anticipated for so long. When you see the screenshots attached closely, you'll spot a “Send” button similar to WhatsApp icon as a part of the status actions buttons under each status update. For the recent versions of Facebookfor Android, the new button appears on the right side (for left-to-right languages) for some users. Post merger, both the companies are trying hard together to enhance each other’s capabilities. Company sources said that this is just a start of connecting these two platforms and they are looking at even deeper integrations in future. 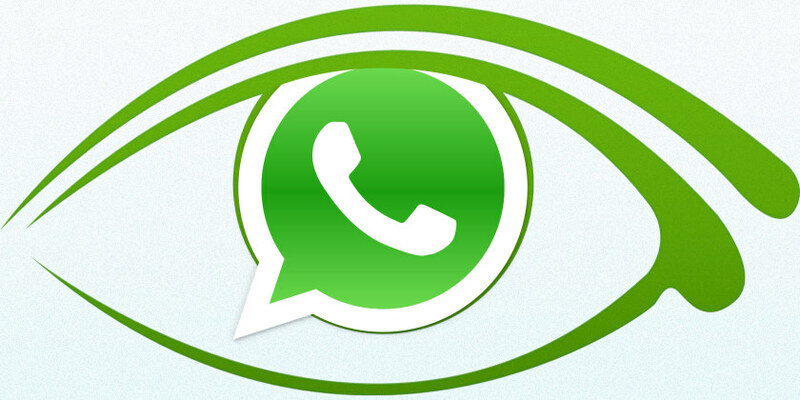 A team comprising technical experts from both the companies are looking at deeper integration like giving users an ability to send messages between Facebook Messenger and WhatsApp. 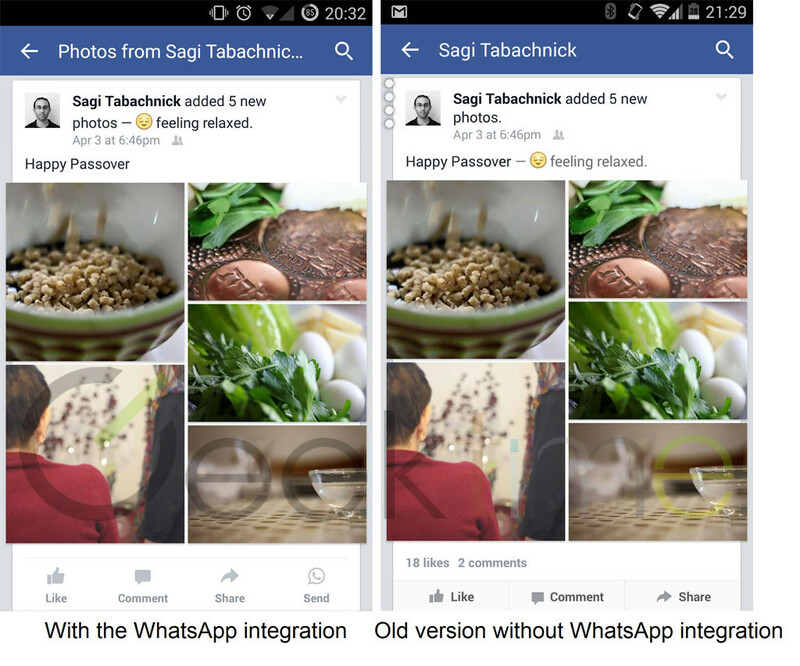 yes this could be the first instance of Facebook integrating WhatsApp with its own native services. Believe me Facebook is only gearing up now….you dont know whats next. together.Facebook Messenger and Whats App.